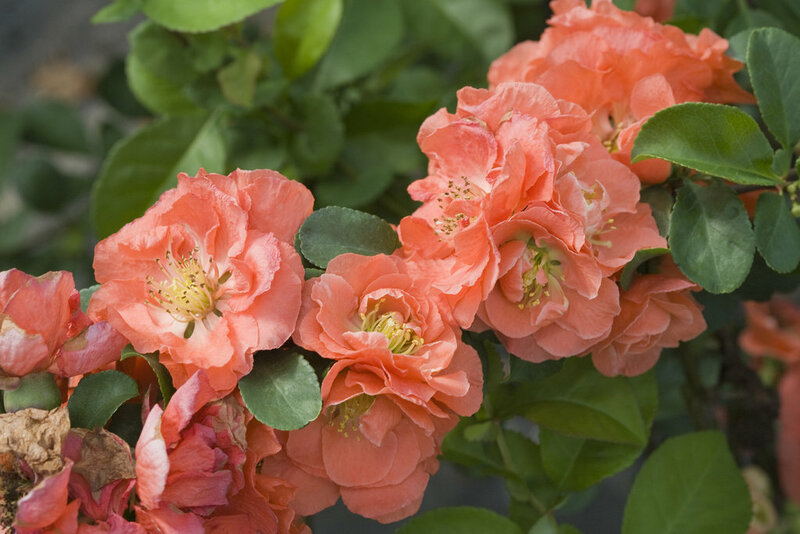 Spring color lovers, take note - the Double Take series of flowering quince now includes Double Take Peach! If you are looking for effortless spring color, the Double Take series is unbeatable. 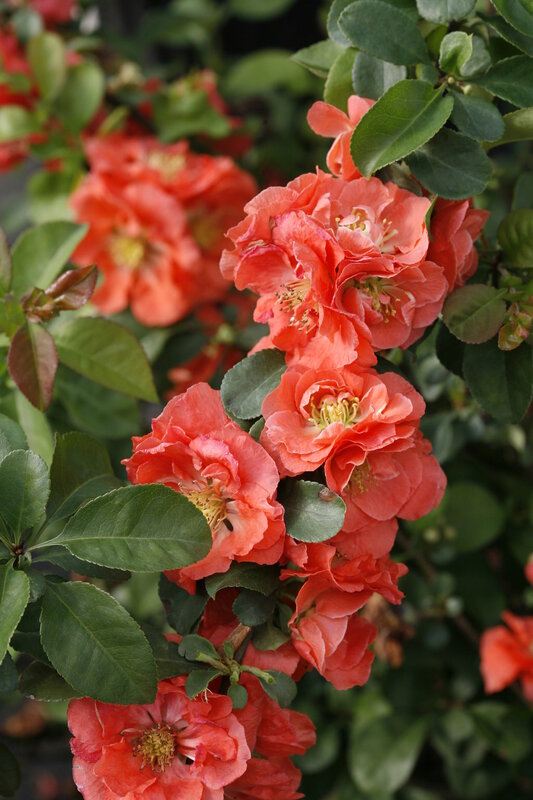 It offers pure, rich, saturated color and rarely needs pruning or really, any kind of maintenance at all. 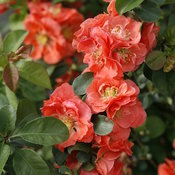 Plus, unlike older varieties of flowering quince, they're thornless, so they're perfect for flower arranging and forcing. 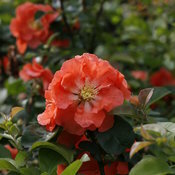 Flowering quince is very tolerant of heat and dry conditions. Double Take Peach brings a new color to the series with soft peachy-pink flowers. Just add your favorite daffodils and tulips for an unforgettable spring scene! Double Take quince needs little in the way of regular maintenance. 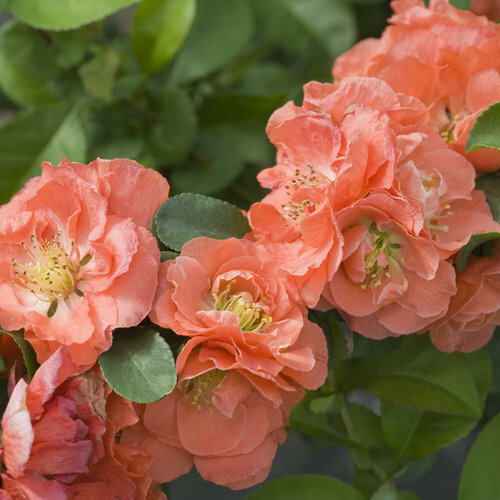 If pruning is required, do so after blooming ceases in late spring/early summer. Flowers appear mostly on two-year old wood, so do not prune too heavily. Fertilize, if desired, in early spring, when the ground has thawed. 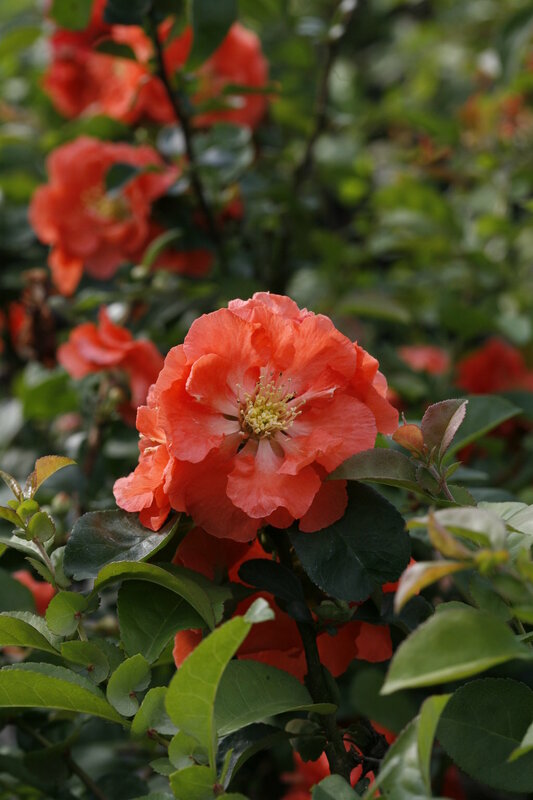 In cold climates, plant in full sun for the very best flower color. In warmer areas, some afternoon shade will help flowers last longer. Double Take quinces often rebloom in fall for some surprise color late in the season.